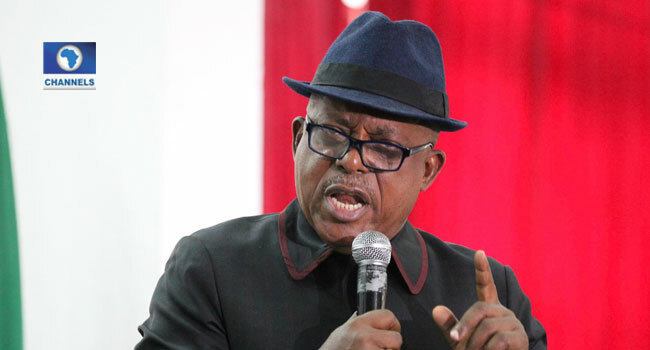 National Chairman of the Peoples Democratic Party (PDP), Uche Secondus has called on the military to resist any attempt at being dragged into election manipulation towards the supplementary elections on March 23. Secondus made the call after an emergency meeting of its National Executive Committee (NEC) in Abuja on Wednesday. He urged the military to uphold the institution and guide their names jealously. According to a statement from his media office, the National Chairman termed the ‘inconclusive’ terminology as a rigging strategy for the opposition party. The Senate President Bukola Saraki and the Speaker House Representatives Hon. Dogora all urged members of the party to remain steadfast and not despair as their victory must be restored at the court. The meeting had in attendance, Bukola Saraki, Yakubu Dogara and other party stalwarts in attendance.